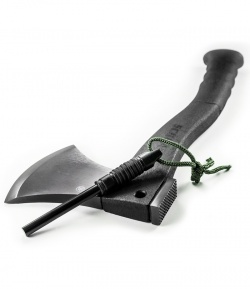 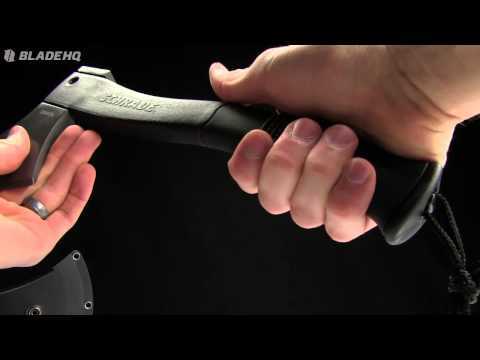 The Schrade SCAXE2 Extreme Survival Axe is a super choice for backpackers and adventurers of all kinds. 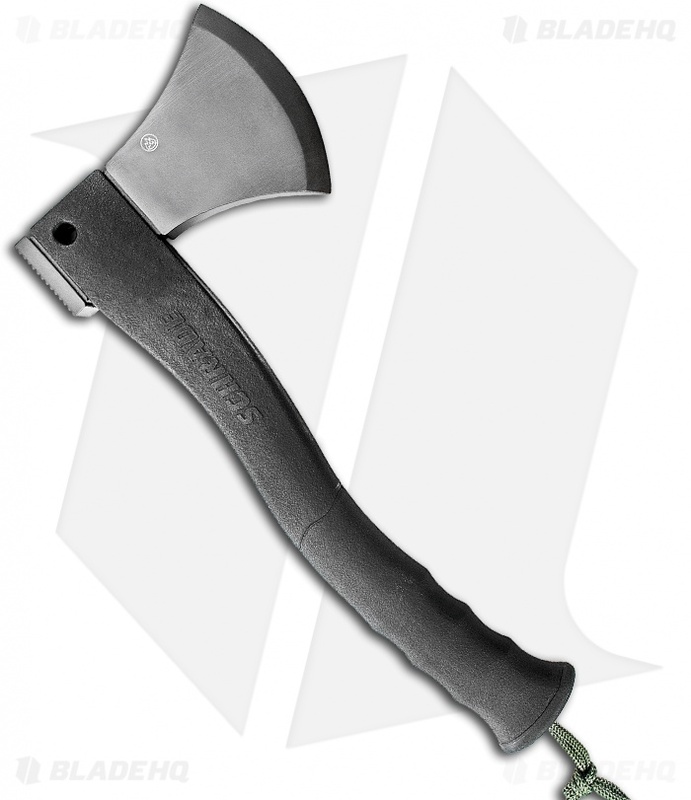 It features titanium nitride coated 3Cr13 steel with a 3.80" cutting edge and a flat surface on the back side for pounding. 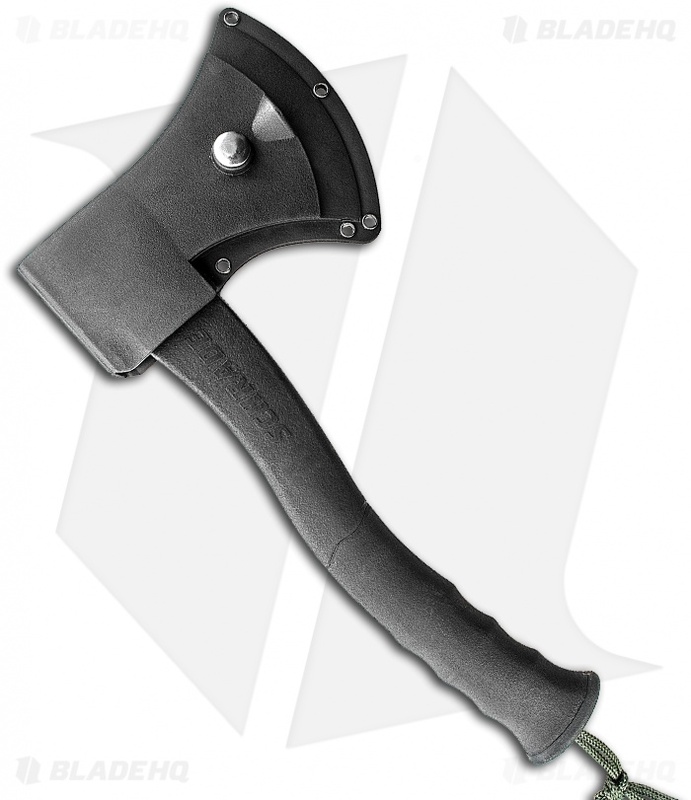 The handle is PA & TPR rubber and features a ferro rod inside, just pull the cord to release. Includes hard sheath with buckle fastener and loop for belts up to 2" wide.